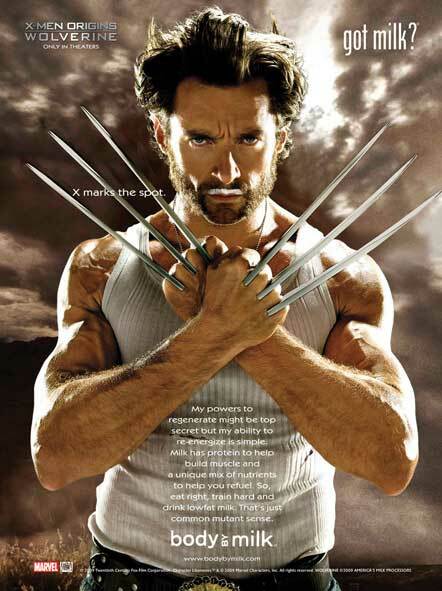 X-Men Origins: Wolverine (2009) – Hugh looks jacked, man (see what I did there?) You know with the hair and beard, if you glance at this ad quickly, he kinda looks like Conan O’Brien. But, dude, Jackman is totally ripped like a pair of 80s acid wash jeans. 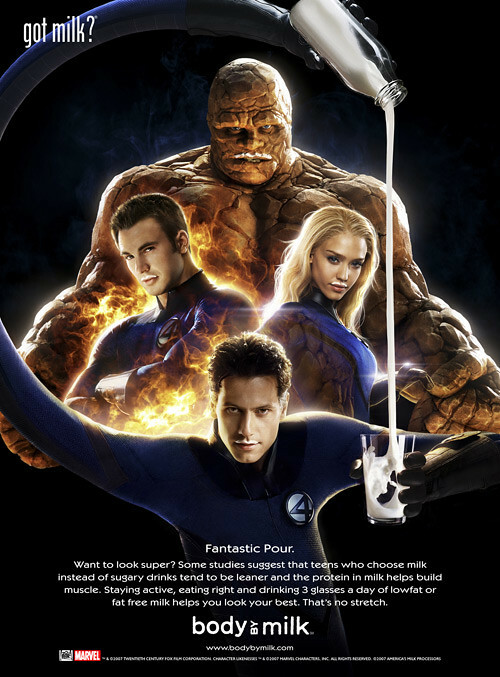 Fantastic Four (2005) – I’m a huge fan of the FF, the comic version. I didn’t hate these movies (like most did), I just thought they weren’t as good as they should have been. Chris Evans was the perfect Torch. Michael Chiklas was a surprisingly good Thing. However, I didn’t like anyone else and that’s a problem in a super hero team movie. Alba was just flat out TERRIBLE. Hulk (2003) – Ang Lee’s Hulk. *shakes head* So many problems. Too much story, not enough Hulk. The Hulk fights a cloud of smoke at the end. Nick f**king Nolte. It’s just rife with problems and boringness. But there are some cool things like Hulk battling the Army while jumping and super running through the desert and, you know, Hulk Dogs. But, overall, the movie blew. This ad looks cool though. 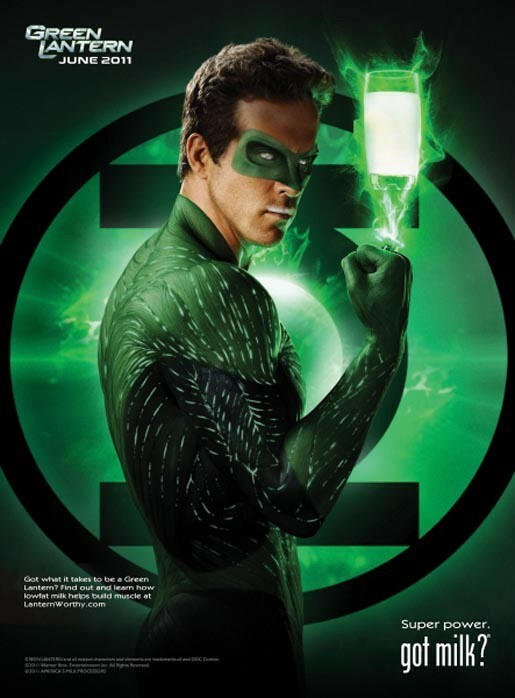 You know some super hero milk ads I’d like to see? Wesley Snipes as Blade. How perfect would that be? Or Iron Man? Or a Christopher Reeve Superman? Those ads would be great. I will probably have to Photoshop them in order for them to exist. And that’s just SAD. 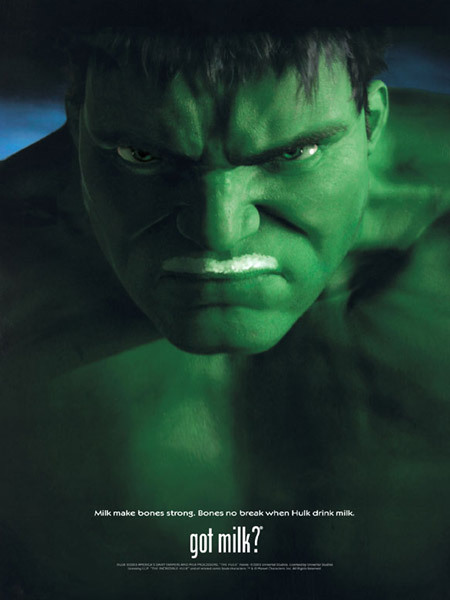 Maybe we’ll get an Avengers group milk ad. That would rock. Anyway, check back tomorrow, I think I’m going to look at some of my favorite milk commercials. 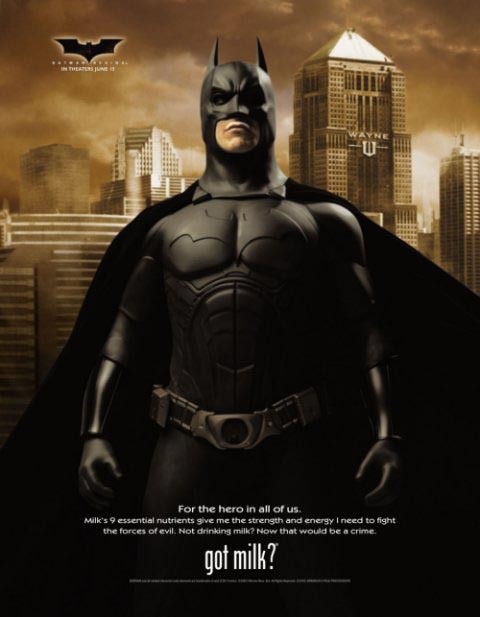 This entry was posted on August 25, 2011 at 11:36 am and is filed under advertising, Batman, comic books, movies, pop culture, Superman, Superman Returns with tags advertising, Batman, comic books, DC Comics, Marvel Comics, pop culture, Superman, Superman Returns. You can follow any responses to this entry through the RSS 2.0 feed. You can skip to the end and leave a response. Pinging is currently not allowed. These are great! It’s kind of surprising just how long this campaign has been going on (8+ years?!). 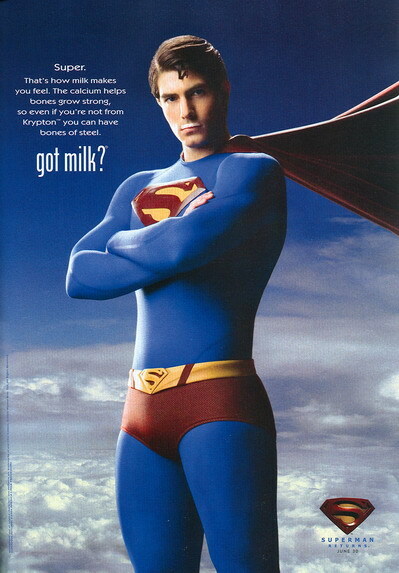 While not a comic book super hero, one of my favorites is the Buffy ad (http://xenafan.com/buffy/images/official/gotmilk.jpg). This was the ad on the back of all the Marvel comics one of the months I interned at Marvel. They had a “cover wall” there showing all the current covers. My editor and I turned all the covers around so it was a wall of Buffy. That did not go over so well, but it was kind of funny. Wow, thanks for the eye candy, Pax! Though I agree with CT that the Buffy ad is pretty great. 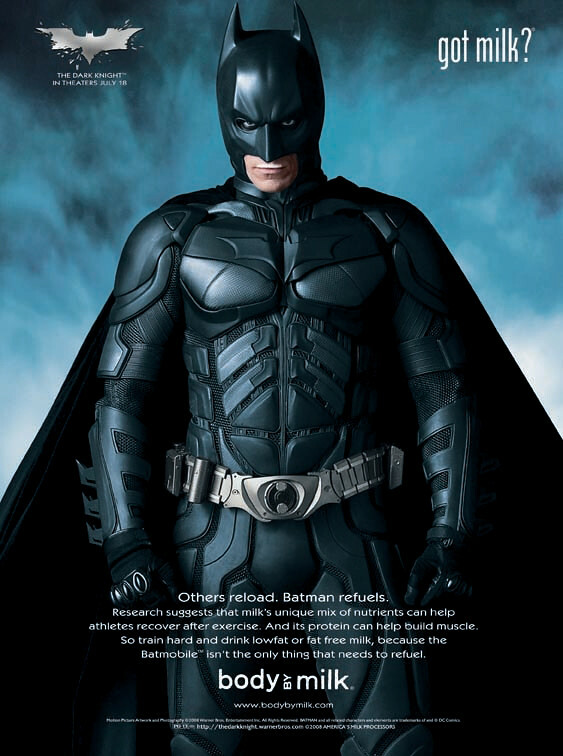 I used to collect the celebrity ads from magazines when I was in high school–truly a great compaign. And Superman? I think it was casting that bobble-head as Lois. Bleh.